There’s a bright spot in my day lately. A beautiful oasis in a hot, hot landscape. The promise of refreshment, enjoyment, a tiny little break. And this magical oasis? It is likely very near to you indeed- just under the Golden Arches. Visit too often, though, and you’ll find yourself desperately trying to figure out how to save money at McDonald’s. Today’s post is spotlighting the rare combination of both a MicroHustle and a MicroLuxury. Odds are, most of you already know about the glory that is the $1 Any Size Fountain Drink campaign, a rare bird that flies in each summer to make the long, warm days more bearable. 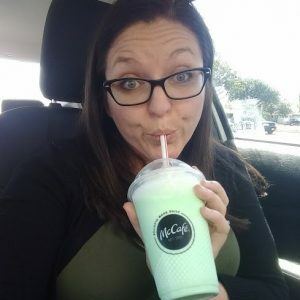 And since there is a McDonald’s on basically every corner, most people are able to carve out a dollar here and there, and you can get to it in a drive-thru format, it is the perhaps the most accessible and the most attainable of all of life’s little luxuries. Especially once you start using our genius hacks to figure out how to save money at McDonald’s. 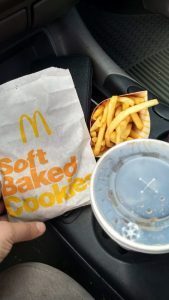 If you haven’t downloaded the McDonald’s App yet, you’re missing out on a HUGE perk. Not only does the app help you to save a ton of money, but it also helps you to save a TON of time. You can use the app to place a mobile order, giving you the option to pick up in store, curbside, or even in the drive through. If you’ve got kids in tow or are dealing with bad weather, it’s a great way to get a meal or life saving Coca Cola in record time. We know, kids LOVE that cheap plastic toy. But that inflated price tag is SO not worth it. 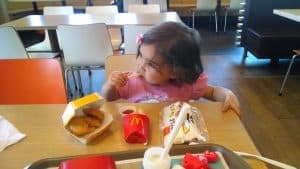 Some locations still offer Happy Meals for the affordable $3 price tag, but others have increased to nearly $5 a meal. 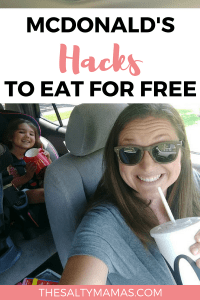 Forgo individual meals for each kid, and instead order an adult extra value meal for them to split. If your location offers 20 piece chicken nugget meals for $5 like ours do, order one of those with a couple of large fries and a $1 drink to split. Not only does the app offer perks like mobile ordering and location finders, but they have some SICK coupons and deals. From time to time, they offer standard coupons, like $2 off a $10 purchase. Others, they’ll have specials on particular items or even BOGO deals. If you watch the deals section of the app regularly, you’ll notice that they occasionally offer REALLY good freebies. When the Dodgers win, for example, I get a free six piece nuggets with any purchase (including those $1 fountain drinks!). Hello, snacktime! And when the Angels win, I get a free signature sandwich with purchase of fries and a dollar coke (so basically a whole meal for $3ish). On some FRYdays, you can get a free Medium fry. And, for most of the summer last year, I was able to get a free McFlurry with purchase. You heard me right, that soft-serve Oreo goodness was within my reach somewhat regularly for free. So basically, I can bribe reinforce my children’s good behavior with ice cream almost any day of the week, AND get myself a Diet Coke the size of my head, for just a buck and tax. Because dreams DO come true people (as long as your dreams are as little as mine, that is). If you haven’t tried McDonald’s coffee yet, you are truly missing out. You know we love our Starbucks, but we do NOT love the price tag on their specialty drinks. And have you seen their drive through line lately? YIKES. In their recent efforts to rebrand, McDonald’s has renovated some of their restaurants to have more of a café vibe. Whether or not you’re a fan of the new quieter ambience, we’ve got to admit- their coffee game is on point. Their seasonal lattes are VERY similar to the Starbucks versions, and I personally can’t tell the difference between their drip coffee and a more expensive cup. The best part about their coffee? The price point. Coming in between $2-$3 per latte, McDonald’s McCafe drinks are about half the price of a specialty coffee shop. 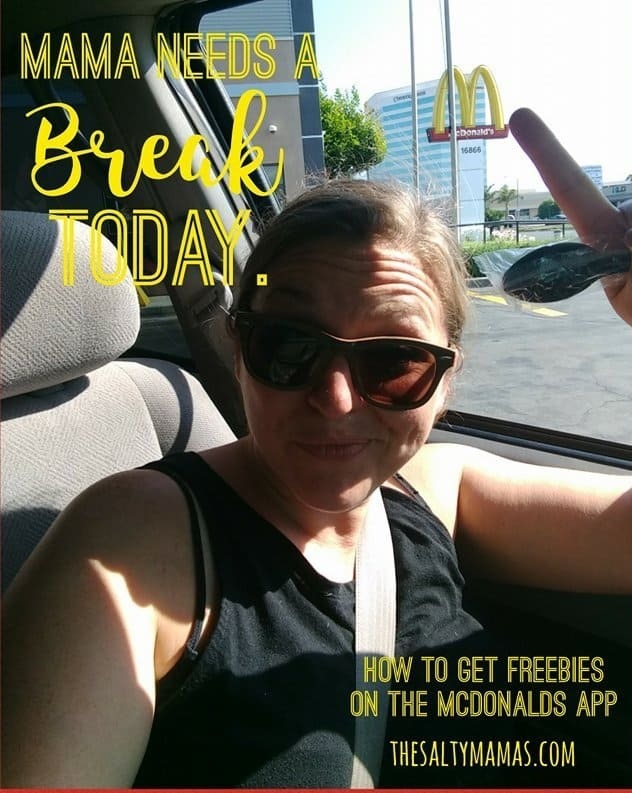 Scan the app when you order for even more savings- you’ll receive a free, any size McCafe beverage after your fifth McCafe order. So if you’re as into either McDonalds or Diet Coke (etc.) as I am, do yourself a favor and download the app. Then find yourself a McDonalds with a Playplace and move on in. WiFi, delicious coffees, endless soda, and free ice cream? Your day has pretty much been solved. You’re welcome. Looking for more ways to save? Check out our other tips! Jaymi you win at life! I am learning from you step by step about all these little things and I’m loving it…no pun intended haha. Yay! Glad you are liking some of our tips! Haha! I love this post! Such a great way to distract your little one! Thanks so much for sharing ? Right? Sometimes they need a little break when a sweet treat, too! Awesome! Can’t wait to see what you can get! Oooh, I don’t think they have those at our locations! Sounds delicious. Didn’t know they have an app! May keep that in mind if we’re ever in need of some ice cream! Honestly, aren’t we ALWAYS in need of ice cream? ? Enjoy! Oh my gosh, you are my new favorite blogger! I just found this through a pin on Pinterest and I’m so glad. Your blog is the best ?